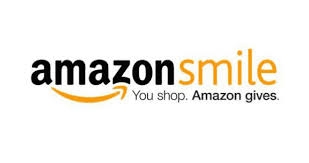 ​When you shop at smile.amazon.com, you’ll find the exact same low prices, vast selection and convenient shopping experience as Amazon.com, with the added bonus that Amazon will donate a portion of the purchase price to your favorite charitable organization. You can choose from nearly one million organizations to support. ​Sparkle Cat Rescue is proud to be a Partner for Pets! ​BISSELL and LostPetUSA.net have teamed up to help organizations like ours raise money. Now you can help too! When you purchase pet products on bissell.com and enter the code ADOPT at checkout, a portion of your purchase will be donated to Sparkle Cat Rescue! ​Then select Sparkle Cat Rescue! Thanks to Sparkle Cat Rescue's partnership with Chewy.com, for every new customer that signs up using the special link provided to our rescue, Chewy.com will donate $20 to our rescue! Buying a new car? Getting rid of an old one? Selling isn’t your only option. Sparkle Cat Rescue has teamed up with Donate for Charity to make donating your vehicle easy. It’s a win for all: you get a minimum $500 tax deduction (or higher, depending on what your car sells for), and Sparkle Cat Rescue receives the net proceeds to support our program. By donating your car, you’ll avoid the headache of selling a used vehicle. Whether the vehicle is running or not, Donate For Charity can help process the donation. ​We certainly appreciate our donors considering this option to help support our cause. You can either click on the link provided here, or call Donate For Charity directly at (866) 392-4483. Fresh Step Paw Points - Donate Paw Points Today! 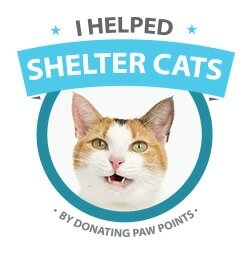 Your donation of Paw Points enables us to redeem the points for kitty litter! We have a lot of kitties and go through a lot of litter! Sparkle Cat Rescue's partnership with PetSmart Charities enables us to hold adoption fairs at Pet Smart in Burlington, NC monthly, have our kitties at the Adoption Center there, and thus increasing their chances of being adopted with more exposure! 2019 Attractions Dining & Value Guides - you can use them now! ​For every book you purchase from Sparkle Cat Rescue, $10 is donated back to us to help our kitties! ​This fundraiser has NO END DATE! We will have books available at events or contact us to order! The Colorful Garden fundraiser with Sparkle Cat Rescue! A portion of proceeds from each sale of a flag is donated to us! Click below to read more and to order! 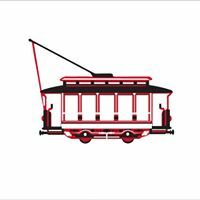 STAY TUNED FOR 2018 fundraiser! Have H & R Block advisors prepare your taxes and Sparkle Cat Rescue will receive $20 if you are a new H & R Block client. We are very grateful to our friend Amy, owner of The Main Line in downtown Graham, NC for having our Sparkle Cat Rescue handmade catnip toys and a donation jar placed in her store. You must make a stop at this unique shop! Located at 134 N. Main Street in downtown Graham, NC. Thank you to our friends at Bella's House Consignment Furniture for promoting Sparkle Cat Rescue and providing space for our catnip toys to be sold with 100% of the proceeds donated to Sparkle Cat Rescue. $3 for one or $5 for two toys - stop in today to get yours! Your cats will thank you! Thank you to The Glass Angel for collecting donations to help our kitties! The Glass Angel is a drop off for food, litter and other items. ​Located at 224 E. Front Street in Burlington, NC. Thank you to Goin' Postal for being a local drop off donation site for food, litter and supplies AND providing space for the public to pick up our fundraising catnip toys!